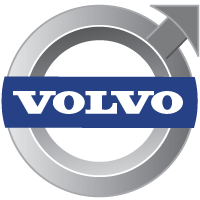 “From November 2005 to August 2006, ASAL Technologies executed a project on behalf of Volvo IT. The scope of the project was to pack a Java based system for the bundling of truck deliveries to a new .net platform. All work was delivered from the ASAL offices in Ramallah with a secure connection to Volvo IT France in Lyon. An interactive, continuous dialogue to manage changes and avoid misunderstandings. A project set-up that had an exceptional fit with context. The skill of the people in ASAL contributing to the deliver”.